MAP GUIDED TO IMPROVED TROUT WATERS OF MN & IA - Tight Lines Fly Fishing Co.
Shows easements, access easements, restoration projects, and public properties. It covers all the trout streams that have had work done on them in states of Minnesota and Iowa. 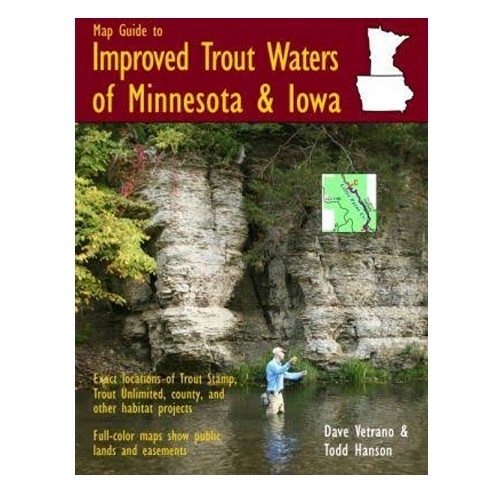 Of all of the books to own on fly fishing in MN and IA this is the one.